The thermal insolation with temperature controller reduces the warping. The toxic fumes are extracted outside your working area with an elastic air tube. A sealed door and sound insulation provide you with a silent and comfortable work area. Filter the toxic fumes from your 3D printer with this HEPA filter that easily fits the box3d 500 3D printer enclosure. 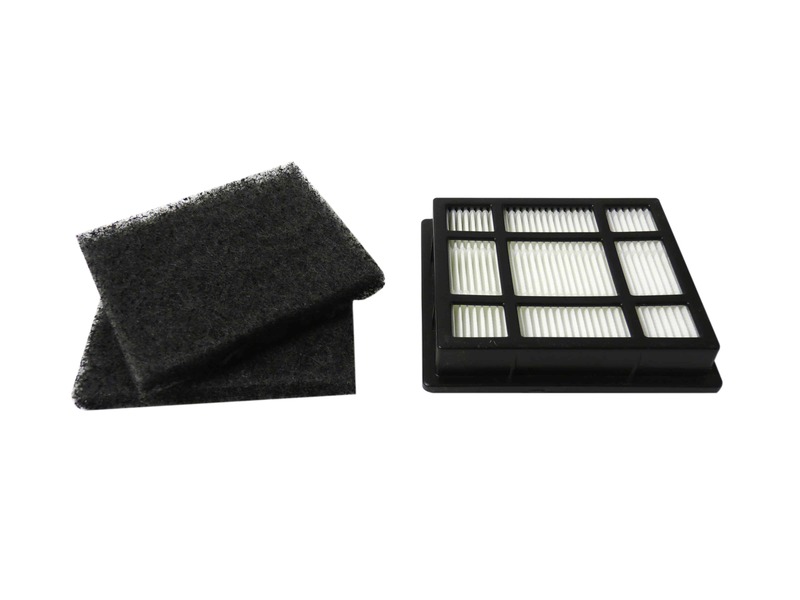 Remove unpleasant smell with the carbon filter. Wit this pack you can also use the box3d standalone without any airhose connected for extracting fumes. All the plastic components 3D printed. The parts can also be 3D printed by yourself for free (see download page). 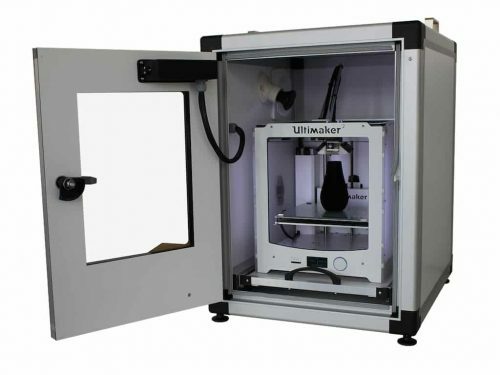 Your 3d printer is warping, emitting toxic fumes and producing terrible noise. 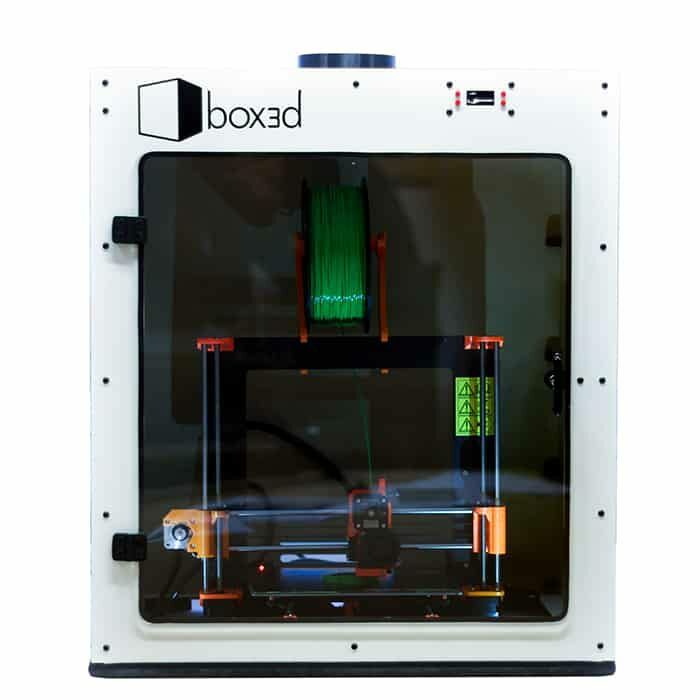 The box3d 3D printer enclose has an opening on the back for the power supply and filament insertion. The enclosure can easily be placed over the 3D printer. 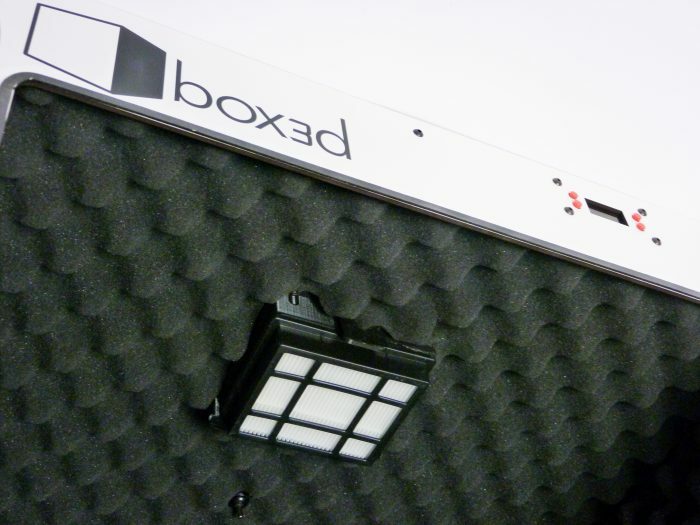 The box3d is properly sealed to the floor with a soft rubber. The transparent front door can be used for easy access to the 3D printer. 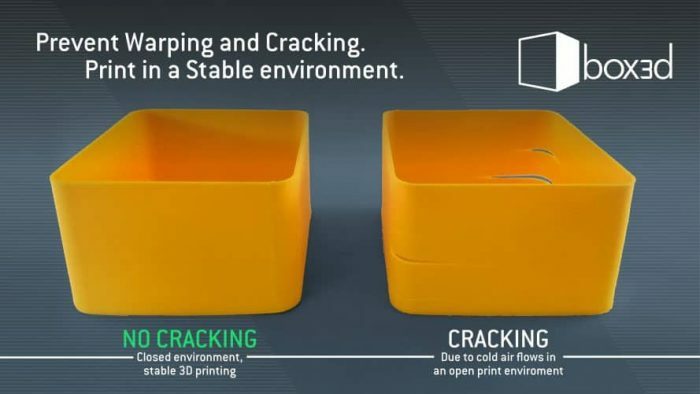 Heating up the environment temperature of the 3D printer will reduce the temperature range that the thermoplastic material has to cool down during printing. This reduces warping at a critical stage. The object will cool down to room temperature when it is removed from the stable print environment. At this point, the object has a larger ability to withstand the internal stresses that are introduced in this cooling process. Basically, the moment of warping is delayed. This is particularly useful with plastic filaments with a relatively high melting temperature like ABS. 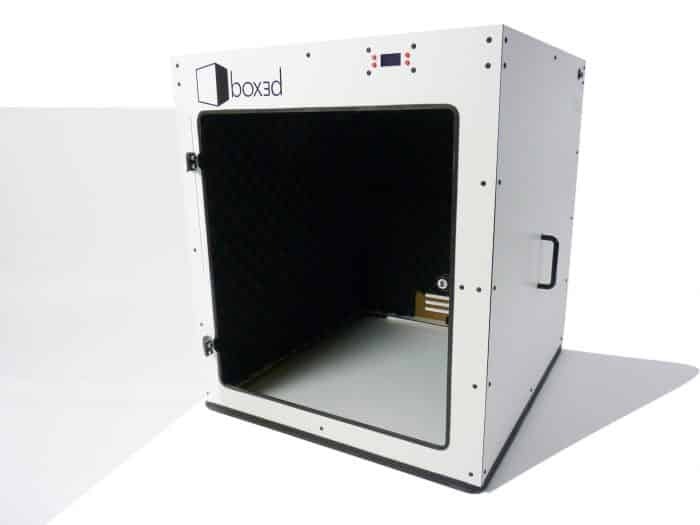 The temperature is controlled by measuring the temperature inside box3d and extracting hot air with the fan on the top until the required reference temperature is reached. 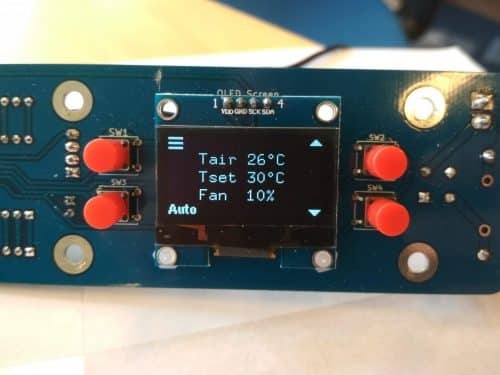 The main board is Arduino based. 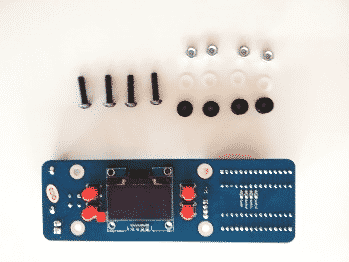 We have left some spare electronic outputs for all the creative makers to come up with some awesome new upgrades. These can be connected to the mainboard and controlled with box3d. How about some colorful lights? some WiFi connection? Or a heater? You can make it yourself and implement it to box3d. It is well known that melting thermoplastics comes with toxic fumes. 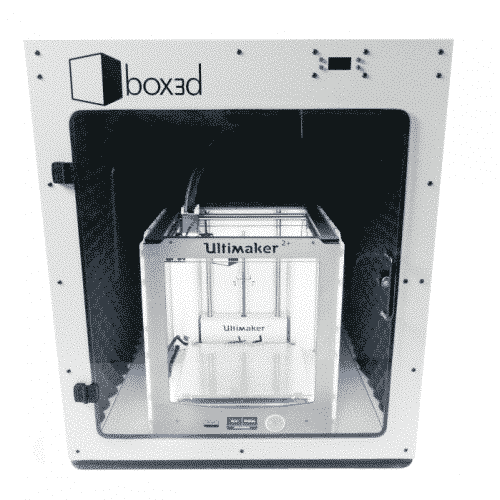 All fused deposition modeling (FDM) 3D printers are emitting ultrafine particles with a diameter less than 0.1 µm. These small-sized particles are hazardous to human health since they are capable of penetrating through our lungs and into the bloodstream. Read more about it here. The toxicity of PLA especially increases when melting it to a temperature higher than 200 degrees Celsius. The pollution from thermoplastics is called Volatile Organic Carbons (VOCs). 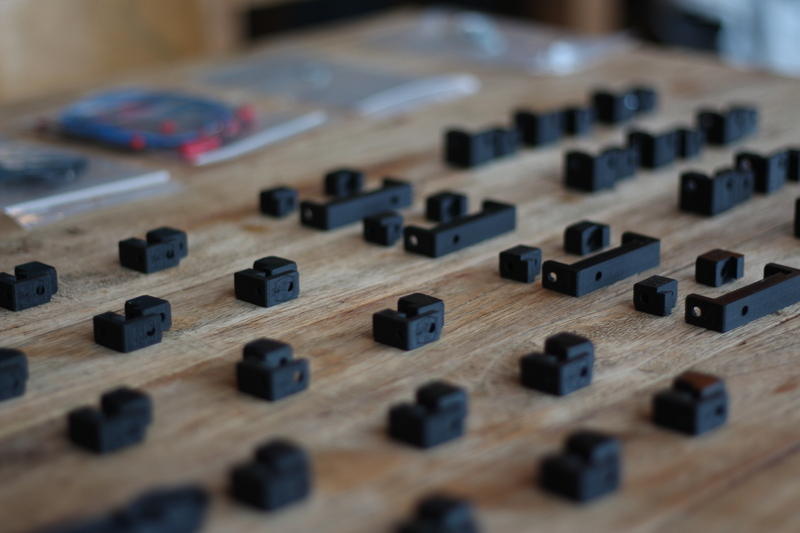 More info on VOCs and 3D printing can be found here. 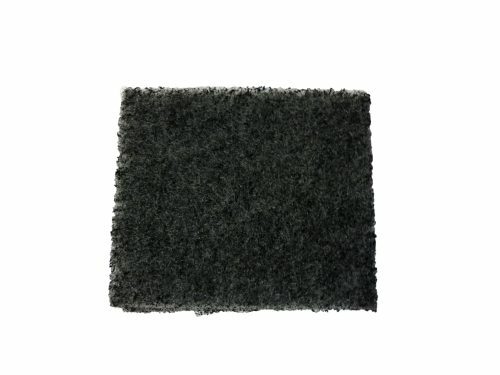 The noise is reduced with self-adhesive egg foam. 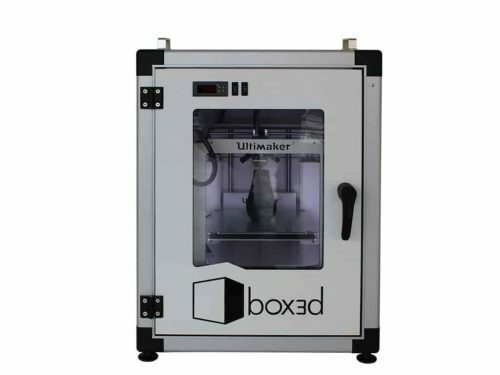 This will make your 3D printer actual suitable for desktop operation. 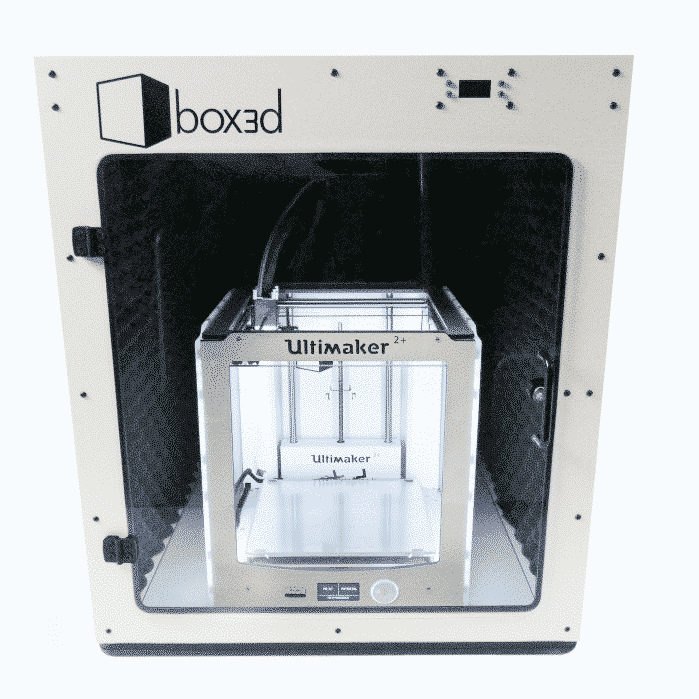 This box3d can be shipped fully assembled. You can opt-in this option during checkout. Take the easy way. 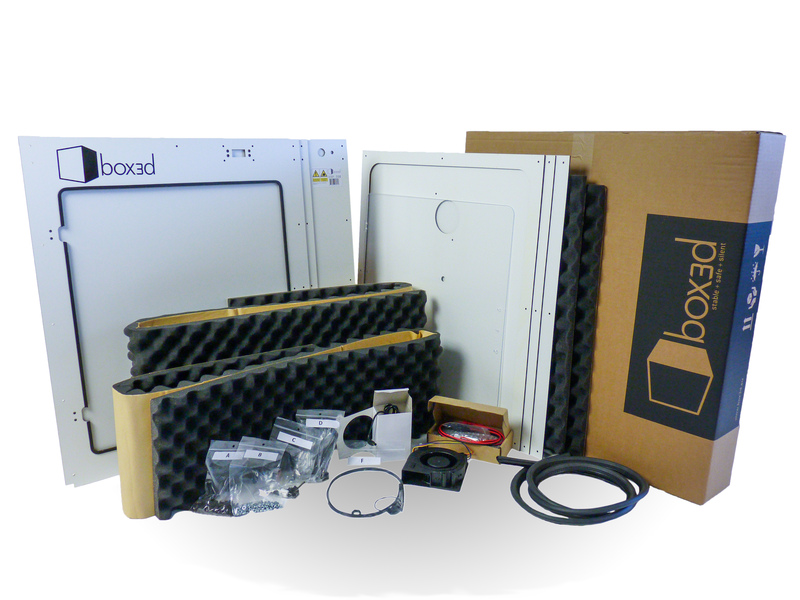 Receive your box3d fully assembled. This kit includes the 3D printed parts which can also be ordered seperate. Start assembly right away! Receive all the plastic part for box3d with your order. You can also print all the parts for box3d on your own 3D printer. The parts are open source available.